The school year is coming to an end and in a few days most of the Conversation Assistants will be flying back to their countries. For the most of them it has been a great year. 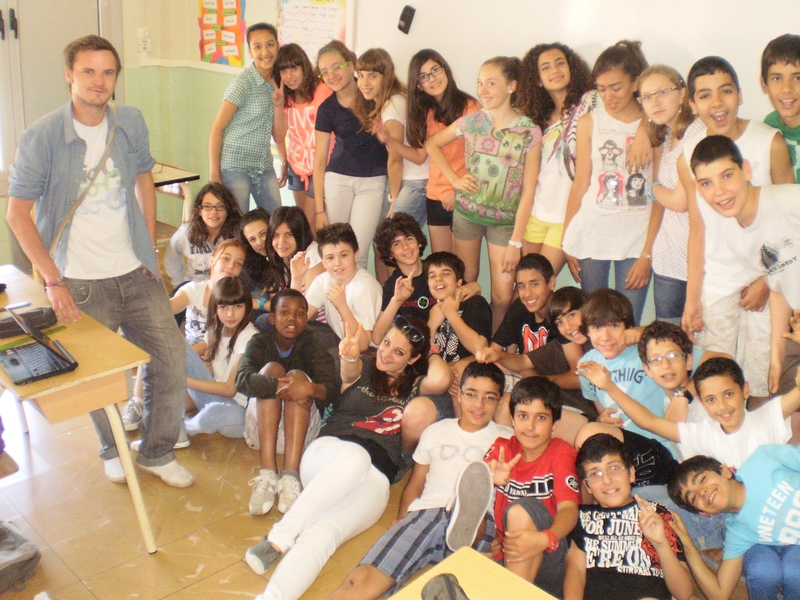 Like for Leigh, who has been staying in FEDAC Manresa – Santa Rosa de Lima. 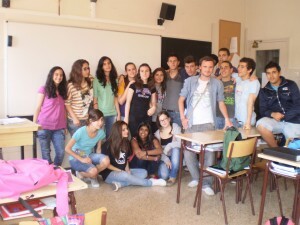 We thank him and his tutor, Alba, for writing to us and sending pictures! It was purely by luck that I found this placement, and it’s been one of the best bits of luck in my life!! I was browsing the internet and saw an advert and thought I would reply. I have been travelling all of my life and saw the opportunity to live and work in a different country and jumped at the chance. The days before my departure were very nervous because I didnt know what to expect, but from the second I arrived I felt very comfortable. My time at Dominiques has been a fantastic experience. A school with fantastic students and very friendly, helpful and supportive teachers, all of which I will remember for the rest of my life. It’s been amazing to see the progression of the students over the last nine months and it makes me extremely proud to see the improvement of the students in English, and I think it has been very benficial to the school to have me over the school year. I have gained valuable teaching experience within the school and it has opened up lots of opportunities for me wihin the city. It has been so much of an amazing experience that I now plan to live here in Catalunya!! The people I have met and the experiences I have had will have a place in my heart forever. Gràcies per tot Dominiques i gràcies per tot Manresa!